Watch Video for Cotton Sheeting Natural Economy Tote - 12-1/2" x 12"
Casually introduce potential customers to your company logo at trade shows and events! 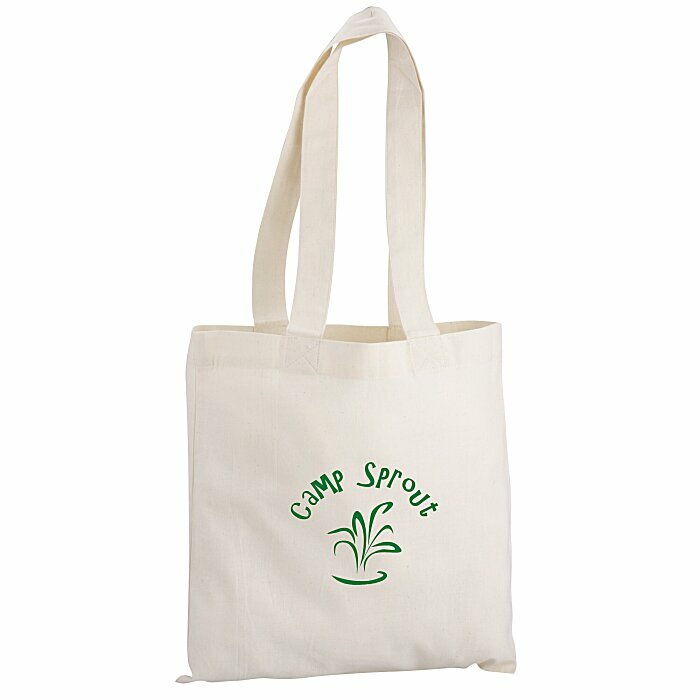 The promotional cotton bags are also great remembrances of conventions and expos. The reusable tradeshow tote can be folded flat for easy storage in closets or front halls. Additional location/colors available for an extra charge. Set-up charge: add $35 per location/color.